As an Associate Broker and Marketing Manager with Berkshire Hathaway HomeServices Georgia Properties I have gained unique insight to the real estate market by working with over 1600 of our associates in 23 offices in the Metro Atlanta region. I continue to network with outside real estate agents locally and globally. I develop sales strategies, business planning and marketing related activities with a focus on my client's needs. I use current marketing techniques, advertising, and technology to procure buyers and locate homes to match my clients specific needs. As a REALTOR®, I love working with people and helping them achieve their goals. I dedicate myself to providing top notch care and combining my ability to multi-task, with service and technical knowledge. I am committed to servicing your independent needs while paying close attention to every detail outlined in the sales contract. Buying or selling a home can be complicated, time consuming, and unfortunately, sometimes fraught with potential pitfalls, rest assured I will make your purchase or sale go quickly and smoothly. Monique Accetta prides herself on having the much needed skills and knowledge to advance beyond her competitors. Real estate is no longer a matter of putting a sign in the yard, uploading information to the Multiple Listing Service and wishful thinking. It is about marketing, proper pricing, advanced technology—websites, international and global reach, email campaigns, customized buyer searches, along with developing powerful presentations to enhance your property. 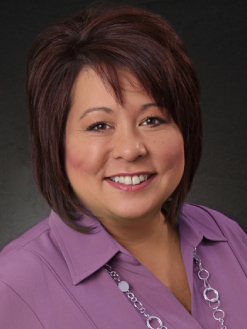 Know that Monique Accetta has the experience, familiarity with the local market, and concern for her client’s needs. Monique Accetta possess the expertise and genuine caring attitude that are assets you need when you are buying or selling. Whatever else you know about real estate, you should know that Monique Accetta is the right REALTOR® for you. Whether you are thinking about selling your home or looking for your next home, I can help you. Call Monique at 404-788-5357 for all of your real estate needs.